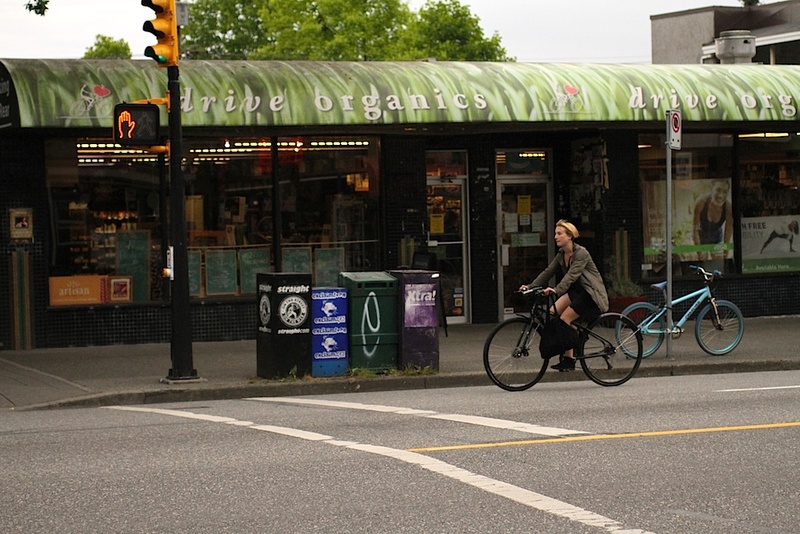 I was walking down Commercial Drive on the first week of June, still in a daze after coming back from the TBEX conference in Toronto the night before, and who do I run into, but Richard Wolak aka: Vancouver Foodster. 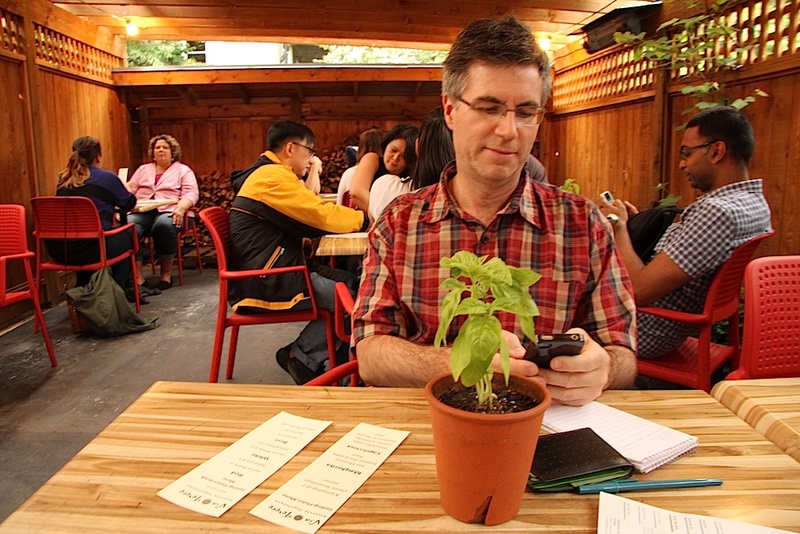 Basically, one of Vancouver’s top food bloggers. Richard had just returned from drinking mezcal at one of my favourite new haunts, La Mezcaleria, testing out venues in the neighbourhood for his upcoming Tasting Plates Vancouver event. I discover it was Richard’s birthday the day before, and he discovers it’s my birthday the next day. Suddenly we find ourselves at the Storm Crow Tavern sharing chickpea fries, and the next thing I know, I have tickets to Tasting Plates Vancouver: Commercial Drive on June 19 in two weeks time. 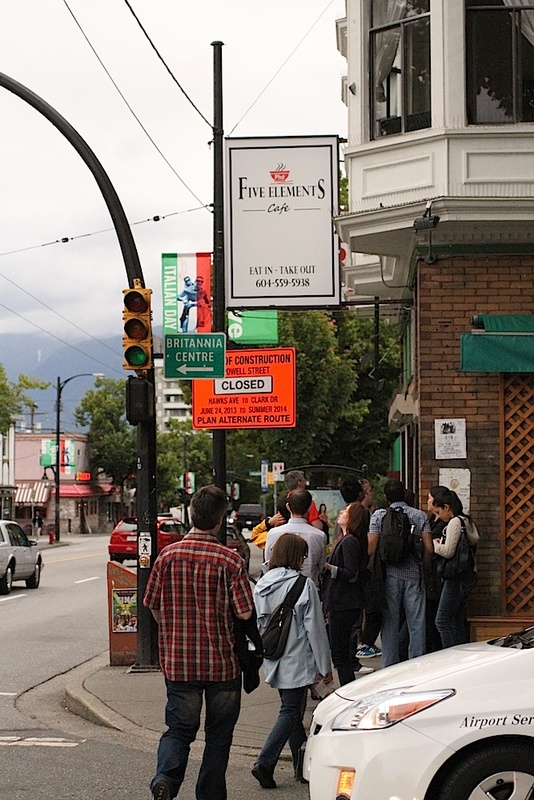 Imagine letting 100+ foodies loose in one Vancouver neighbourhood for an evening, giving them a map to eight or so restaurants, and telling them they have three hours to visit each restaurant and eat a sample plate of food made just for them. THAT is Tasting Plates Vancouver. 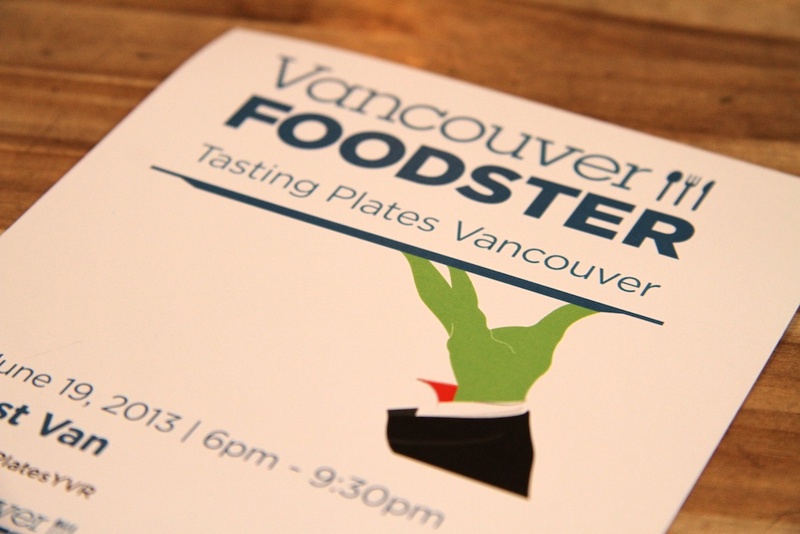 It’s organized by aforementioned Vancouver Foodster and is rather quite a hoot, especially if you like discovering new eating establishments while socializing with your fellow food-loving friends. Having a penchant for Instagram doesn’t hurt either. 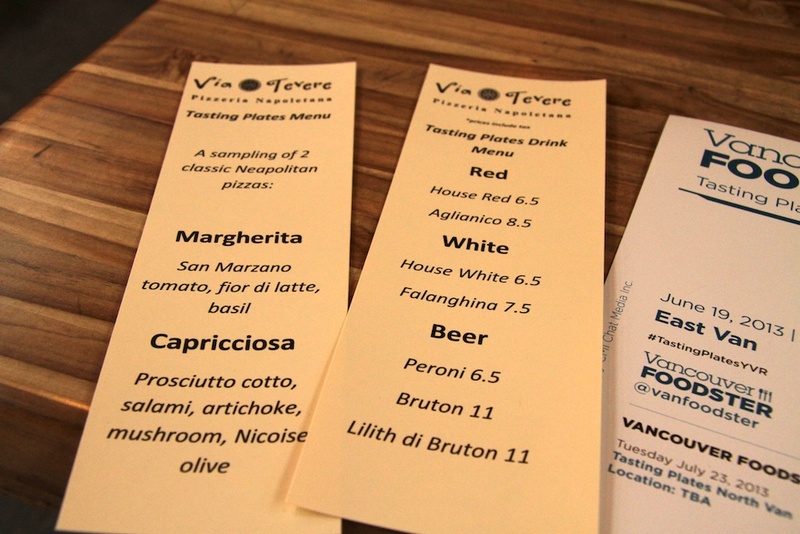 The next Tasting Plates is happening in North Vancouver on July 23, and there’s another one scheduled for Mount Pleasant on September 15, but here’s my recap of the Commercial Drive edition. It’s 6pm, and we arrive at Prado on Commercial and E 4th. 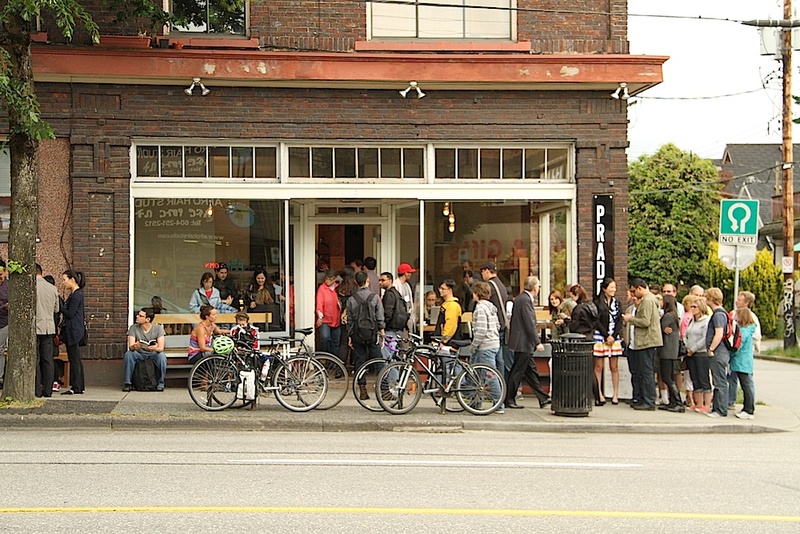 Prado is my neighbourhood cafe and I’m no stranger, and while it can be busy, I’ve never seen it with a line-up. 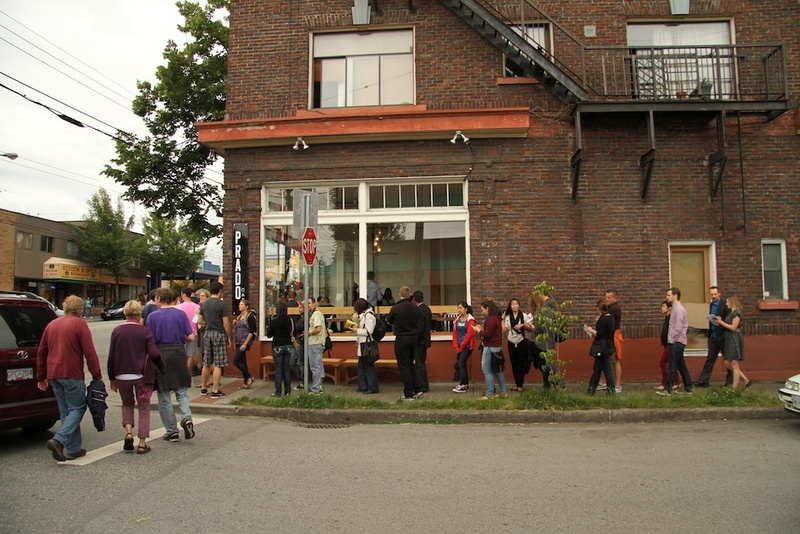 We get into the line, and strangers on the sidewalk walk up and ask what’s going on. “It’s Tasting Plates Vancouver” somebody explains, and the stranger nods as if they know what that is, although I’m sure they don’t. Everyone’s at Prado precisely at 6pm because it’s the check-in point where everyone trades their Eventbrite tickets for maps of all participating restaurants. 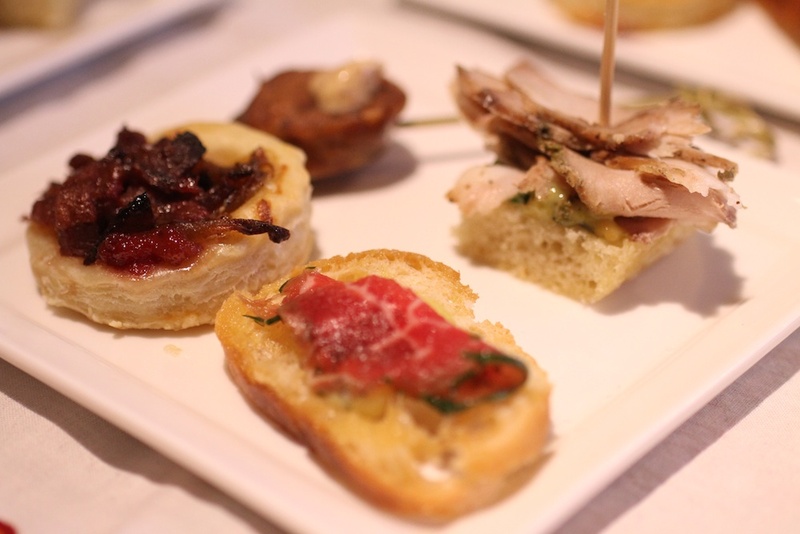 Since Prado’s a zoo, we escape to the furthest restaurant: Via Tevere. It’s nice to leave the urban sidewalks of Commercial Drive for the quieter, leafy-gardened heritage houses of Victoria Drive. 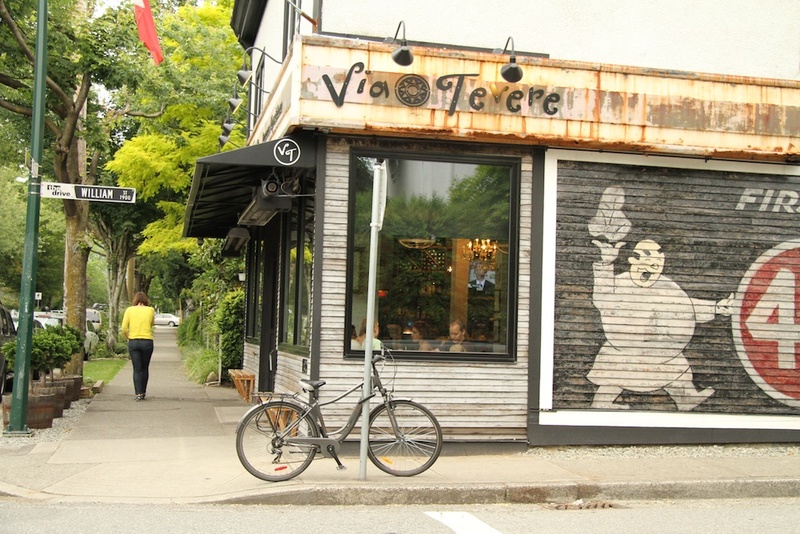 Victoria Drive also has a few of these charming storefronts peppered throughout the residential streets, adding character to an already colourful neighbourhood. 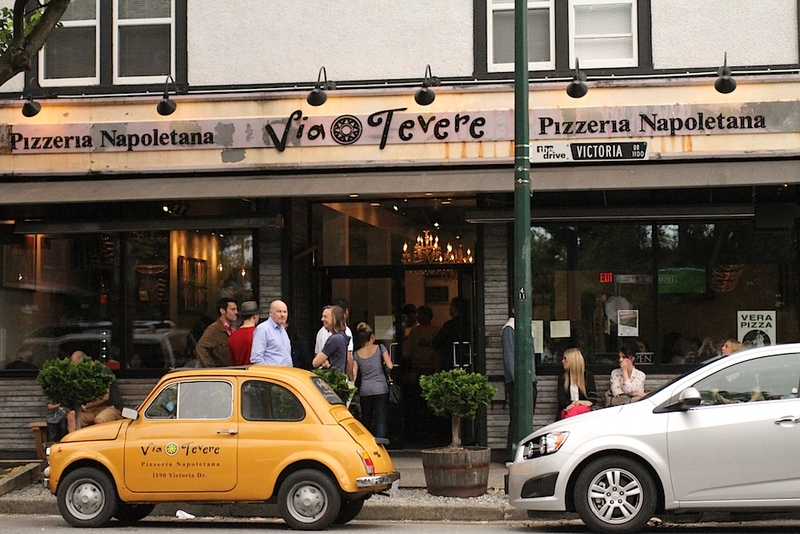 Via TevereVia Tevere is the “it” Napoletana pizzeria of all of East Van, and some argue they have the best pizza in all of Vancouver. Located in a charming storefront on an otherwise residential block, they opened last year this time, and they’ve been busy ever since. The place is so popular, I’d probably eat there more often if there wasn’t always a wait to get in. Fortunately for us eager beavers, we didn’t have to worry about lineups. 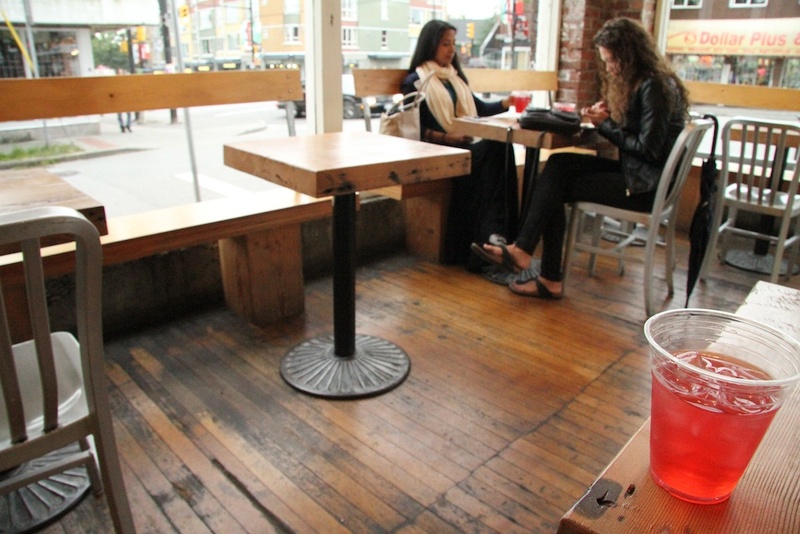 For Tasting Plates Vancouver, Via Tevere had set up their patio around the back (who knew they have a patio?!) where guests could sit down at a table or stand around and mingle. We took some of the last remaining seats at a table. 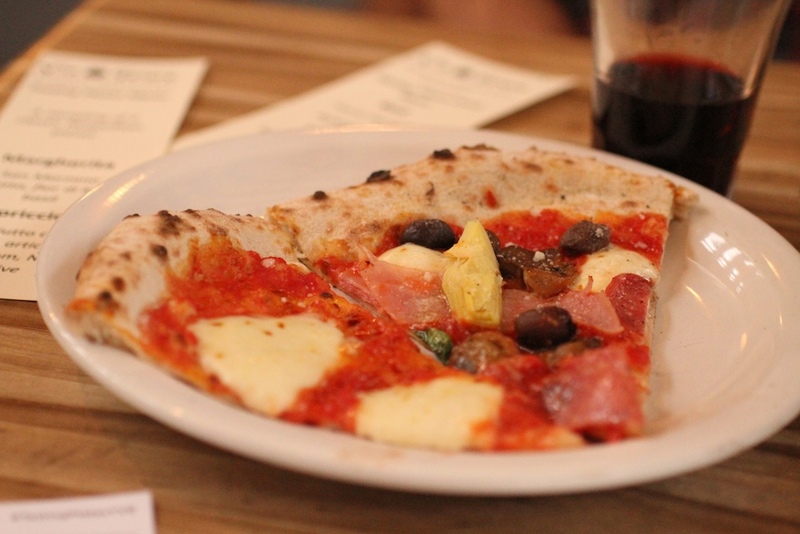 We were quickly served two pieces of pizza, and the red wine seemed like a great idea. We toasted to James Gandolfini. 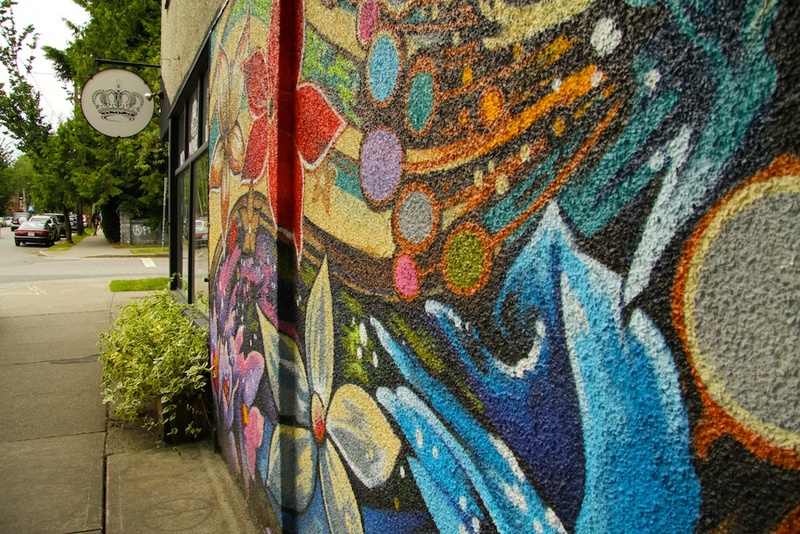 Our next stop was Five Elements Cafe back on Commercial Drive; a newly-opened Vietnamese restaurant in what was once Tony’s Deli. By the time we walked over however, there was already a lineup out the door. There’s also Sweet Cherubim, the health food store/vegetarian restaurant, with a yoga studio on top. On a cloudy Wednesday evening, the streets weren’t hopping, but on a sunny day, these streets are just packed with some real characters. While waiting in line, a woman walked up to us and asked what was happening – a trend that continued throughout the night. It was 7:10pm! Knowing there were probably restaurants without waits just a few blocks away, we decided to skip Five Elements and head south down Commercial instead. 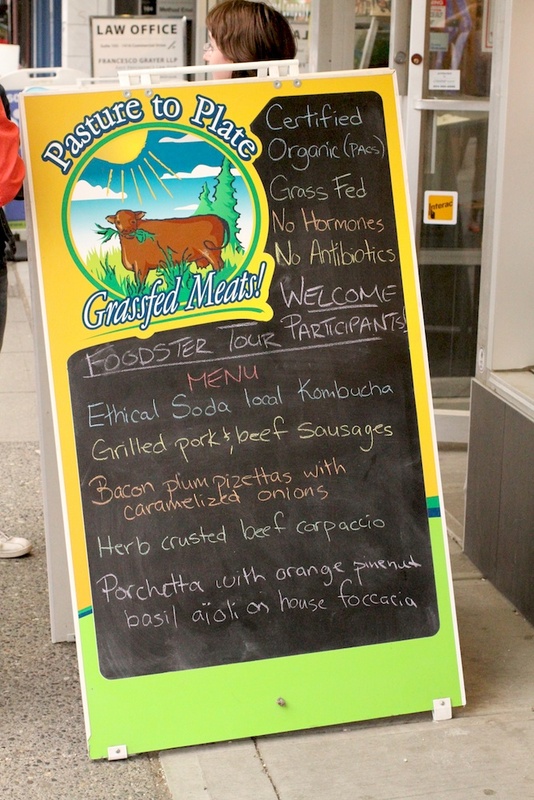 Pasture to Plate opened up last year, providing East Van residents with an ethical, local source to buy their meat and poultry. 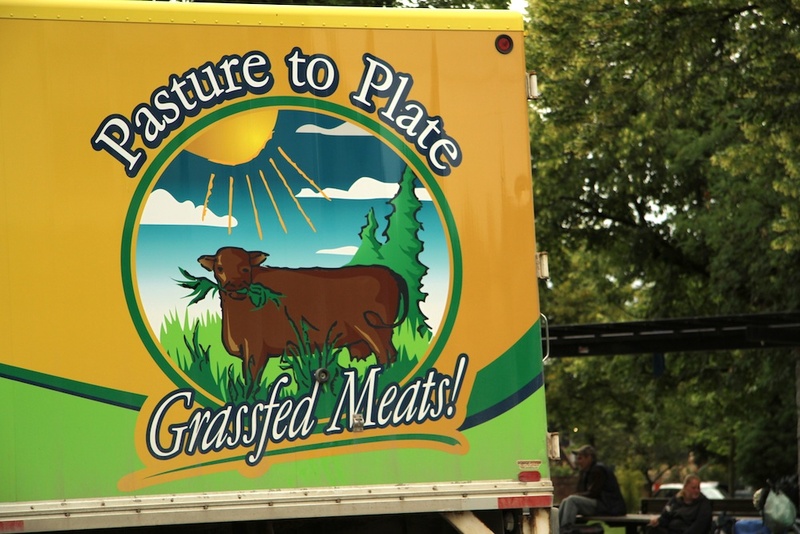 All their products are certified organic, grass-fed, without hormones or antibiotics. The meat comes from their family farm located in the Chilcotin region of BC. If you eat meat, it’s good stuff. While they do sell meat, they also have a burger counter, so I was curious to see what they had planned for Tasting Plates Vancouver. Burgers? Hot dogs? Roast beef? I wanted to know! As we entered, their new manager introduced herself to us, and we were invited to grab a plate of food, already set up catering-style for us to enjoy. To showcase the variety of products they offer, they were serving a pork/beef sausage with grainy mustard, a puff pastry topped with bacon, plum, and caramelized onions, beef carpaccio served with roast garlic aioli, and a porchetta on focaccia with an orange pine nut and basil aioli. We helped ourselves to the accompanying Ethical Soda Co. Kombucha to wash it down, and it was time to move onto the next locale. 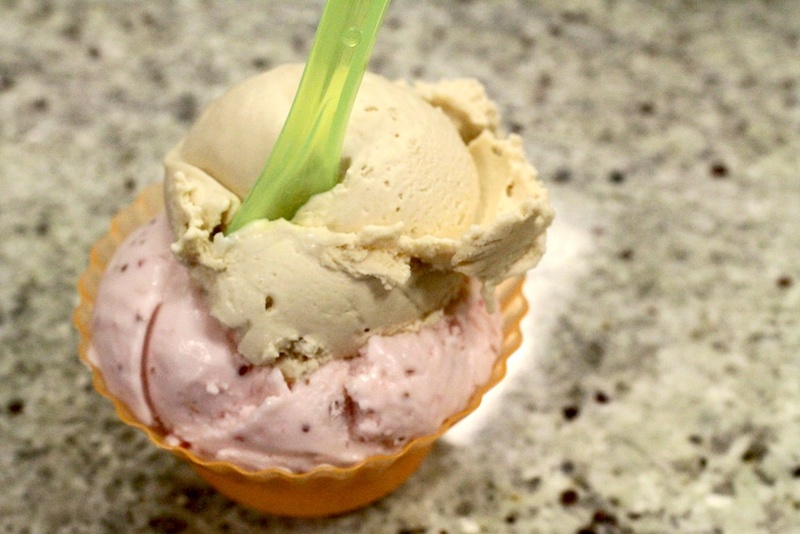 Only a few paces down the street was a rather empty looking Dolce Amore Gelateria. People were waiting later in the evening for gelato, was my guess. The good news was that we had a delightful conversation with the gelateria’s manager Daniela, who spoke in detail about her family’s business and the stories behind the two delectable flavours they were serving: roast strawberries with buttermilk (her sister’s recipe), and the best nocciola gelato I think I’ve ever tasted! It’s weird to go from gelato to Indian food back to back, but that’s what we did! Siddharta’s Kitchen has always looked beautiful in terms of decor, but I was curious about the food. 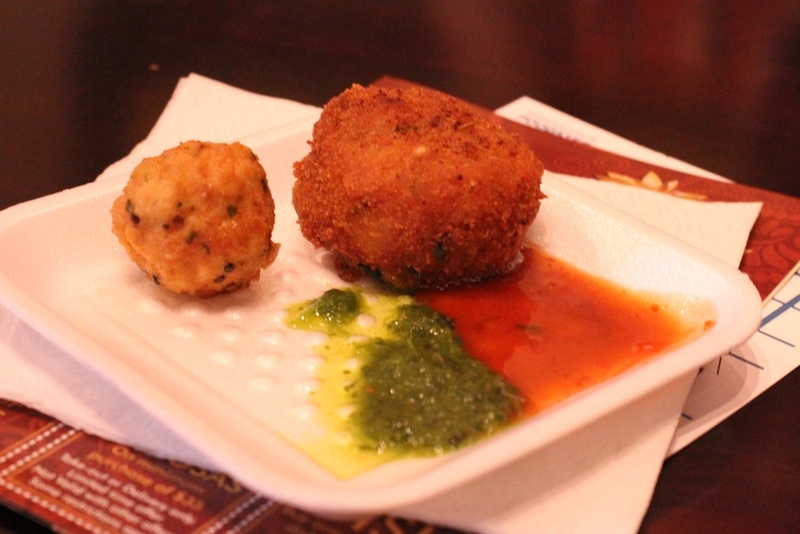 For Tasting Plates, they were serving aloo tikki (a potato croquette) and a sesame covered chicken meatball with a mint chutney. A nice treat, certainly, and it definitely made me curious to come back and try some of their proper entrees. After all, this place is literally stumbling distance from where I live. Why haven’t I tried it sooner? Walking back from Siddharta’s, we passed by a now-empty Prado. Even though I’m well-acquainted with their “Cookie With No Name” and all its peanut, chocolate, marshmallow goodness, I still wanted to grab one for it was the featured offering for Tasting Plates. Sadly, they were out the cookies, but they were serving samples of a gluten-free chocolate chip cookie. 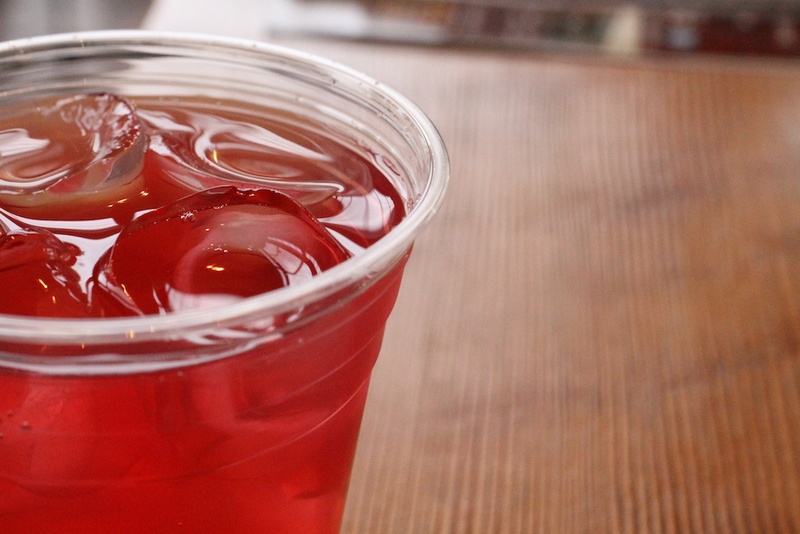 While it wasn’t quite the same, the iced tea was a refreshing drink and something I don’t normally order when I’m a regular paying customer, so it was win-win. 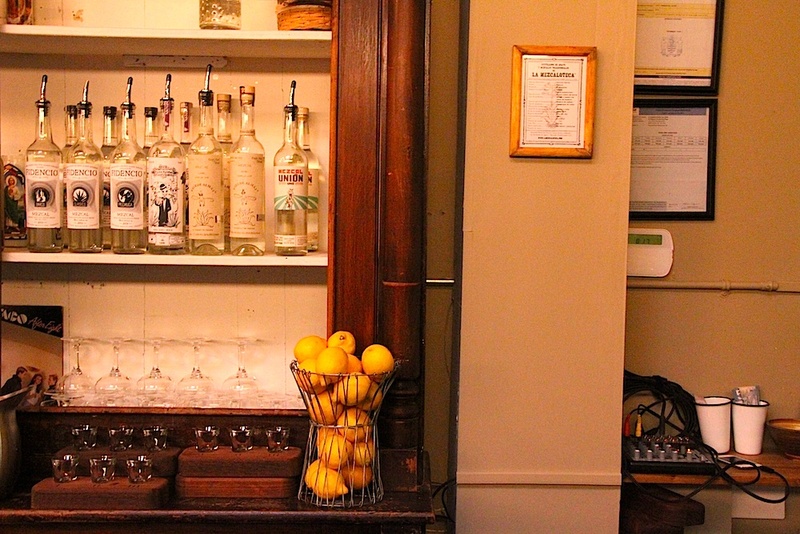 La Mezcaleria was certainly the busiest venue of the evening. Earlier in the night, I bumped into my friend Jay who informed me to leave my name at the door because there would otherwise be a 40 minute wait. 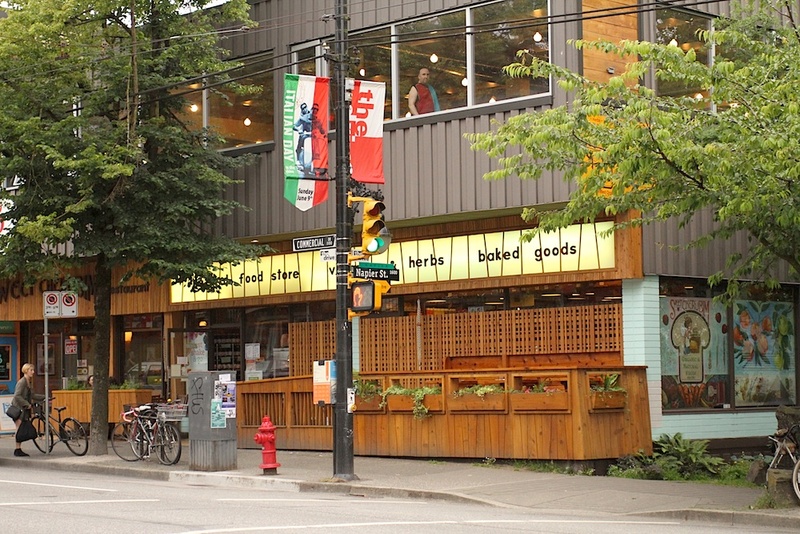 Thanks to his advice, we sailed right into this popular Mezcal/taco joint, owned and operated by the same people who brought La Taqueria to Vancouver, forever changing the Mexican food scene in Vancouver. Seated at the far end of the bar, I ordered their Mezcal Margarita ($10 for one ounce) – a little bit pricey, but dangerously delicious. Even more dangerous when you know I live stumbling distance away. Coincidentally it was here where I was seated next to everyone I bumped into earlier in the evening, including Christine, Marc, and Shangri-La Hotel concierge extraordinaire, Stephane Moutet. 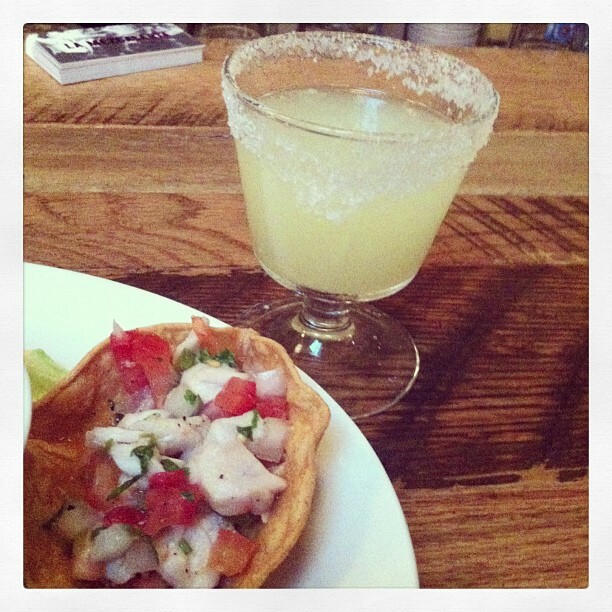 We all sipped our cocktails while servers brought us each a platter of beans, guacamole and ceviche. After devouring a tasty platter of Mexican cuisine, I call it a night. It’s a little bit short of 9pm, so there’s still half an hour left, but I’m full and satisfied. 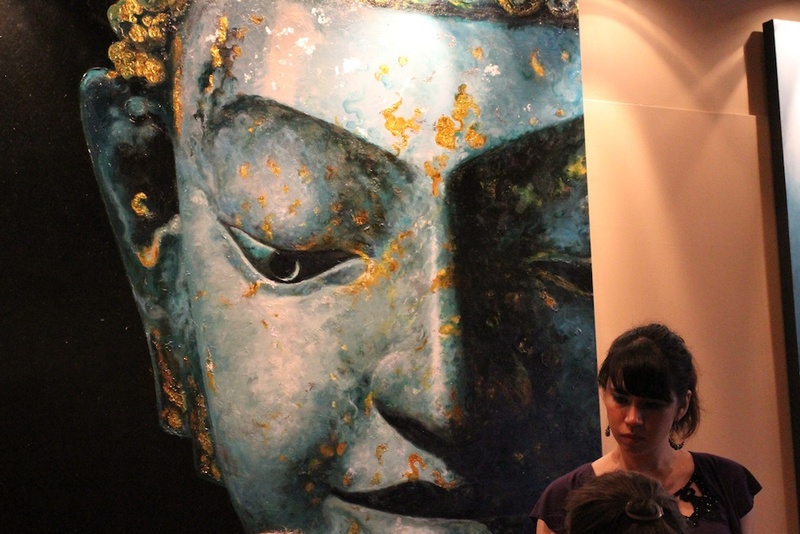 Sure, I didn’t make it to Five Elements, but I’ve got a good excuse to return. 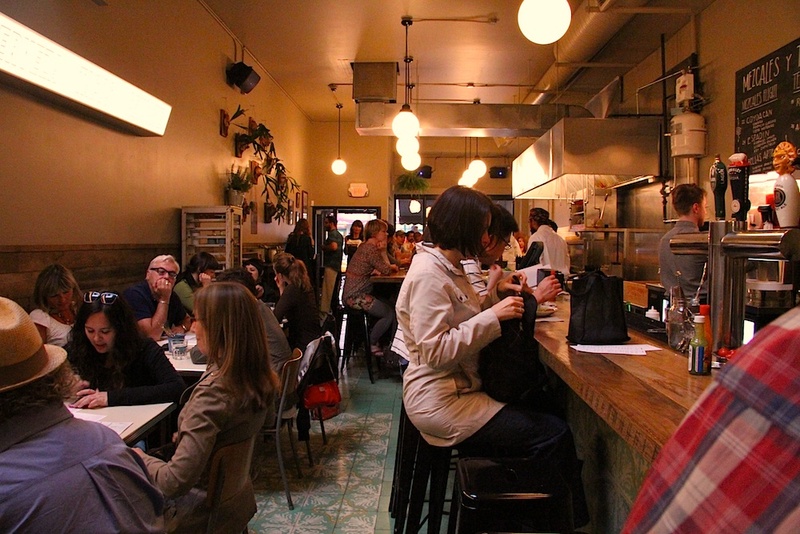 All in all, Tasting Plates Commercial Drive is a success!